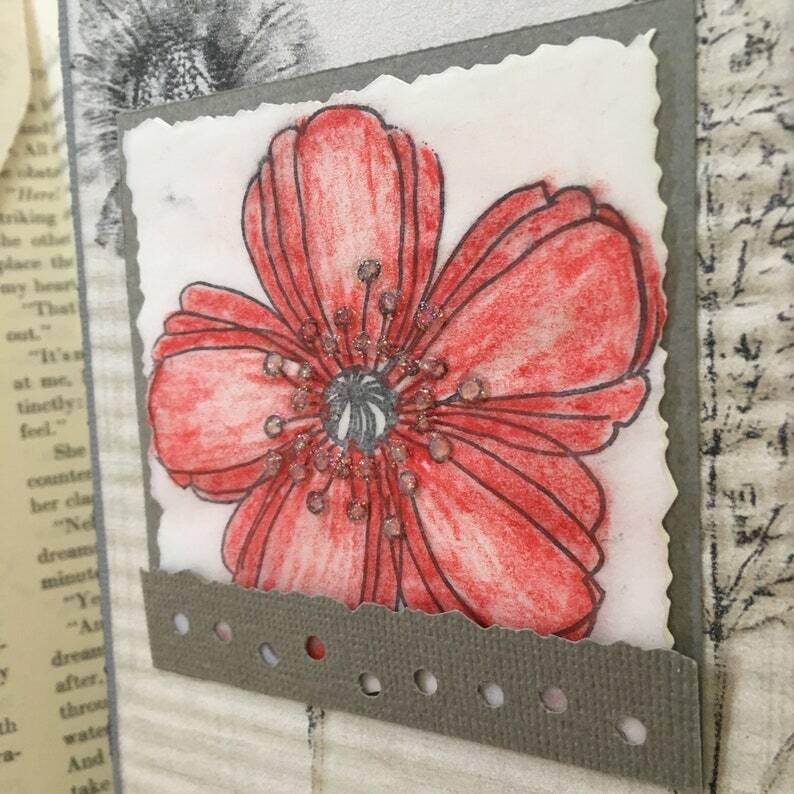 Hand colored stamped red flower on vellum and layered with textured and vintage papers to create an artistically styled birthday card. Glitter glue dots give 3D effect to the flower. Inside hand stamped Happy Birthday. Handmade envelope from vintage wallpaper and lined with vintage book page included.